Calendula has a long history of use in treating an array of skin conditions, including inflammation and irritation – centuries of use, in fact. And although calendula has remained a staple for many naturopathic medical practitioners and “mainstream” physicians in Europe and Asia, in North America, its use and effectiveness have only become appreciated more recently. At least part of that new-found appreciation has arisen as a result of recent scientific studies that have explored – and demonstrated – the benefits of calendula cream in skin care aftercancer treatment. The use of calendula creams to soothe irritated and inflamed skin following radiation is well established. Just last year, a study conducted by researchers from the prestigious Cleveland Clinic Foundation found plenty of support for the use of calendula cream in treating patients in its oncology department – so much support, in fact, that the department changed its practice guidelines to recommend the use of calendula skin cream in patients undergoing radiation therapy. In addition to finding the cream effective in treating radiation dermatitis, the researchers also found patients were much more willing to use the creams compared to alternatives like petroleum-based gels, for which the study says there is no evidence of efficacy in treating radiation dermatitis symptoms. Patients reported the calendula creams to be non-greasy and easy to apply, earning an 85 percent satisfaction rate among patients at the completion of the study. The results of recent studies of the effects of calendula skin cream on patients with radiation dermatitis have been so positive, additional studies have been initiated exploring the use of the creams in other acute and chronic skin problems. In another 2015 study , researchers from Italy evaluated the use of calendula skin cream in patients with diabetic limb ulcers that exhibited signs of developing infection, including sores that appeared red and swollen and exuded pus. The calendula cream was applied twice daily and massaged into the affected areas. At the completion of the study, the researchers found the use of calendula cream was associated with significant healing action in all patients, due at least in part, the researchers posit, to the plant's natural ability to kill germs that cause infection. If you're suffering from radiation dermatitis, calendula skin cream can help relieve your symptoms so you feel more comfortable. At My Girls™ Skin Care, calendula cream products are manufactured using natural ingredients, with no dyes, fragrances of parabens to allow the plant's natural healing powers to shine through. Plus, the creamy formula is designed to be applied easily, with no greasy residue. 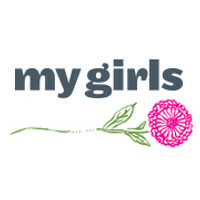 To learn more about My Girls™ Skin Care, visit the website or follow us on Facebook.